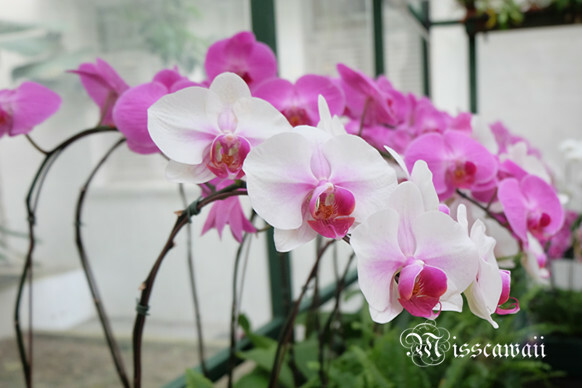 After two months, I come back here again for "The Orchid Conservatory". 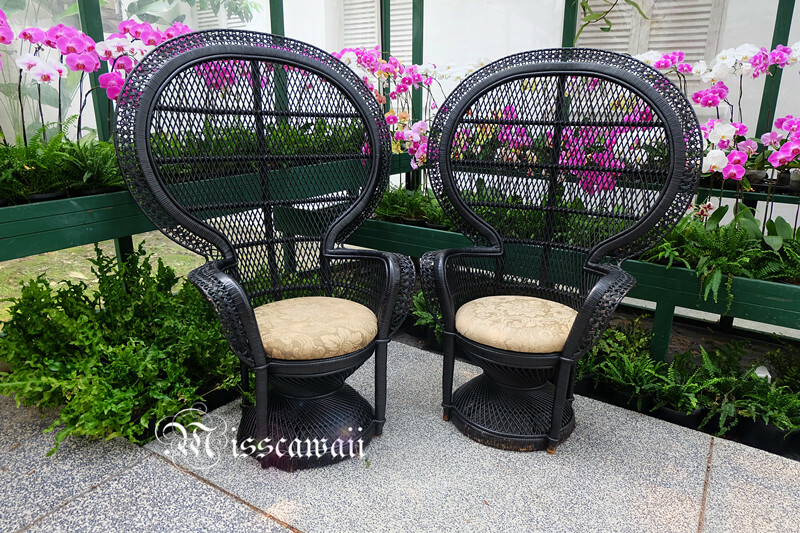 Read HERE for my first entry at The Tea Lounge. As I mention earlier, you have to make your reservation 2 month advance before you heading to there because the seat is limited. 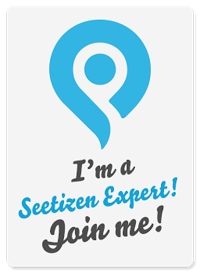 Yes, I did it. Dated with BFF along for the girl talks at here. 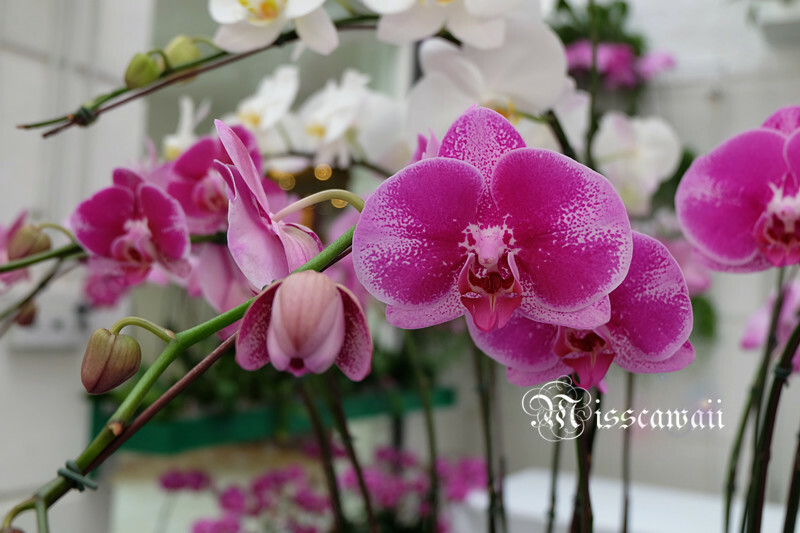 The Orchid Conservatory is like a botanical within a glass atrium features seasonal range of phalaenopsis orchids. 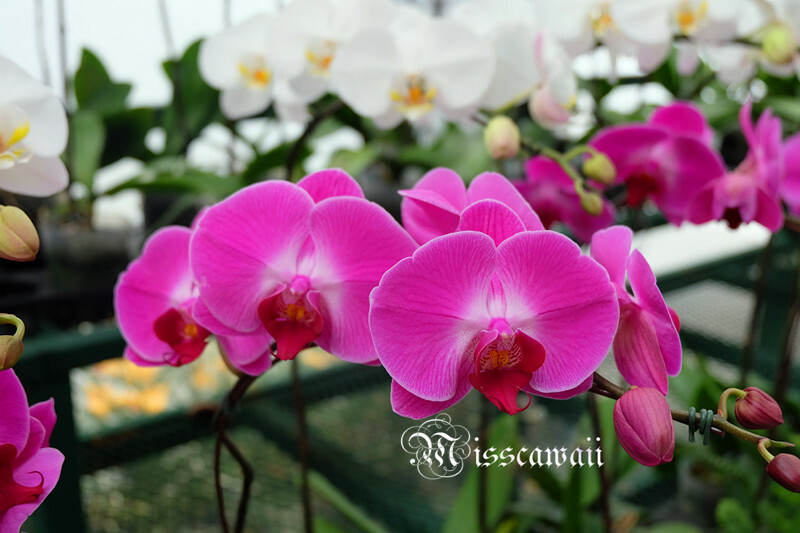 I love to see it and sitting inside with thousand of stunning blooms around me has light up my day. The presentation on the table just pretty with the settings. 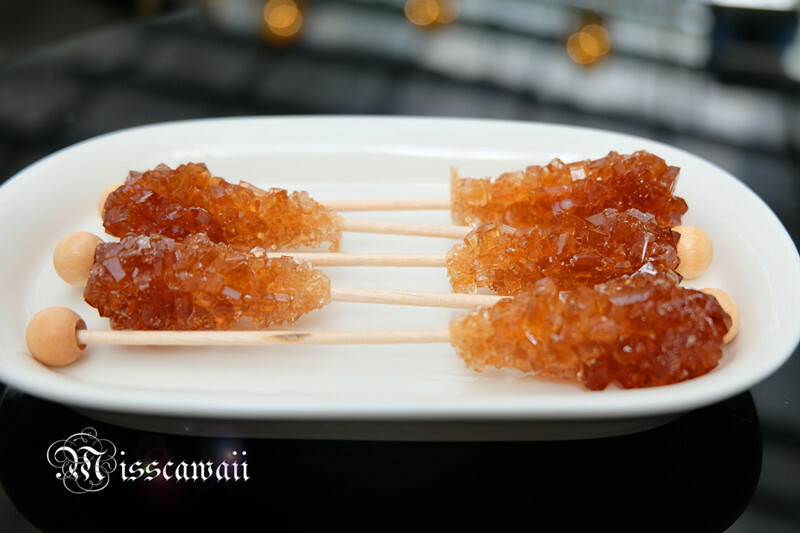 The brown sugar is prepare well for your tea. 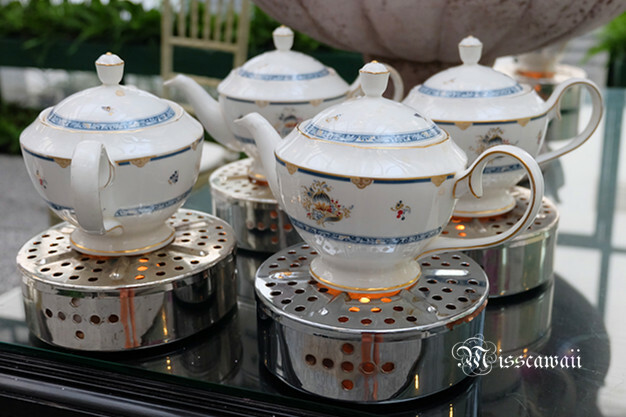 The teapot always in warm temperature to ensure the tea is hot condition when serve. 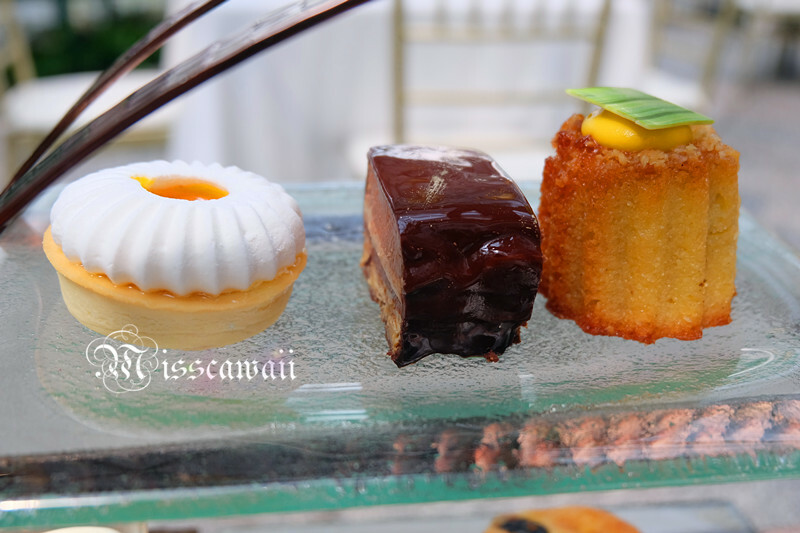 The afternoon tea set is not much different with the Colonial Cafe, but there is some changes on their dessert and hot savories. Same goes to the first tier with finger sandwich. 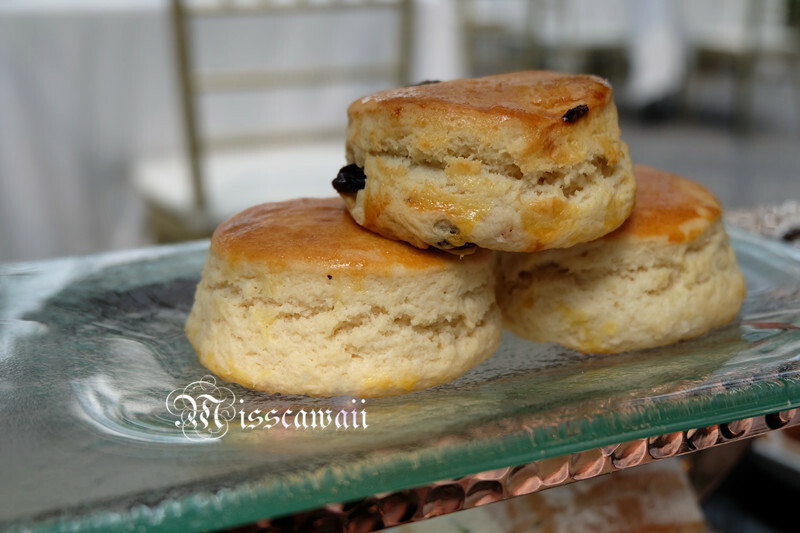 Plain and raisin scones on second tier come with cream and raspberry jam. We having peach tart, chocolate cakes and carrot cakes as our dessert on third tier. 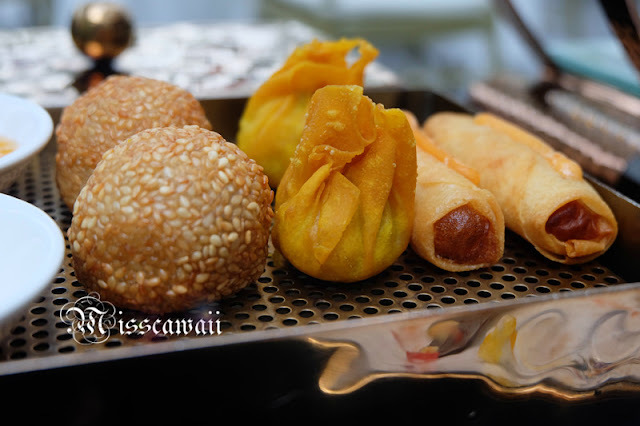 Hot savories include red bean mochi, fried wanton and deep fried spring. 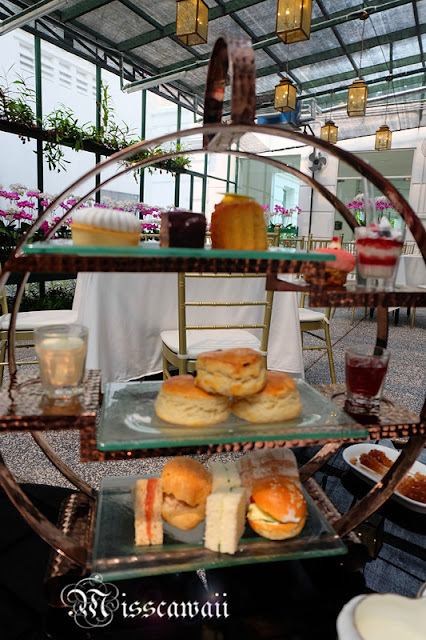 Sure everyone is curious how much we have to paid for this wonderful afternoon tea. The Orchid Conservatory is charge RM108 nett for each person. 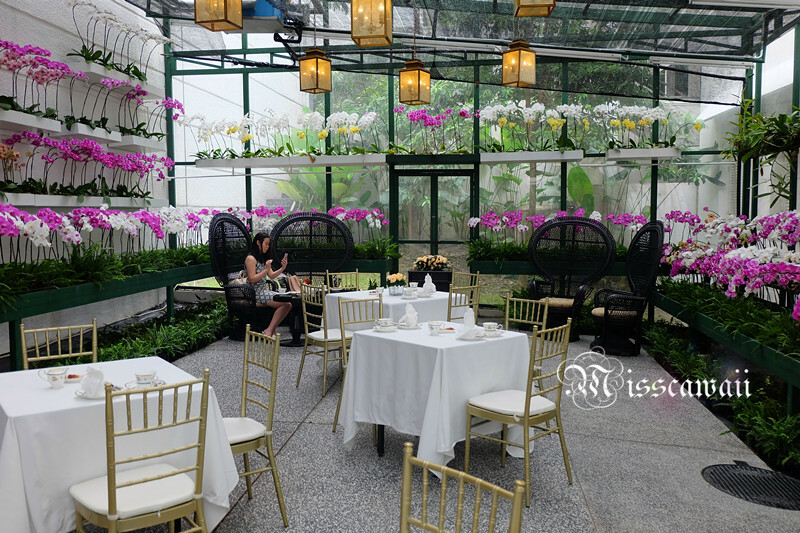 Since The Orchid Conservatory is a premium room, as such sharing is not allowed as the room consists of limited tables and seats. The afternoon tea set you have see in my picture is included 2 afternoon tea set for 2 person. 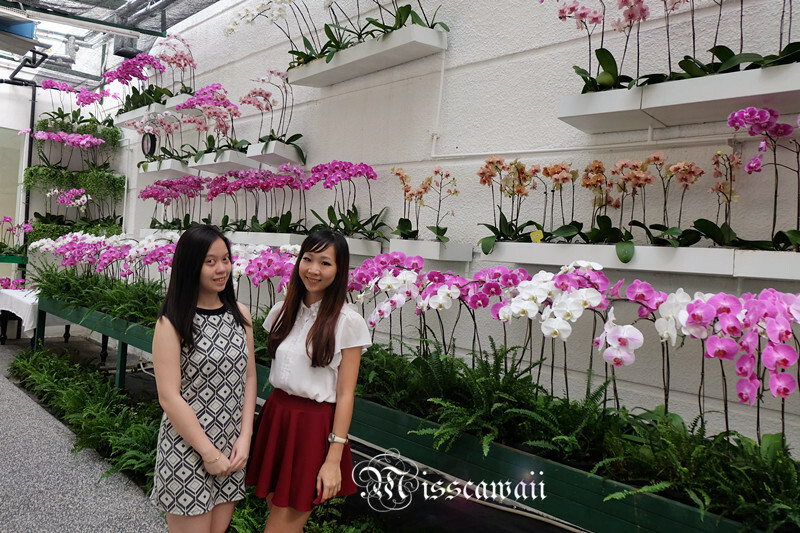 The environment is perfect enough and we can't stop to taking photo to these stunning blooms as well as selfie. 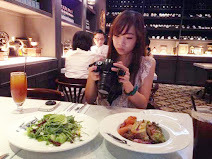 I prefer dessert in Colonial Cafe before and the scones taste and texture is better at this time compare to first entry. There might some changes on their scones every time you visit. Depend which you own on that day. 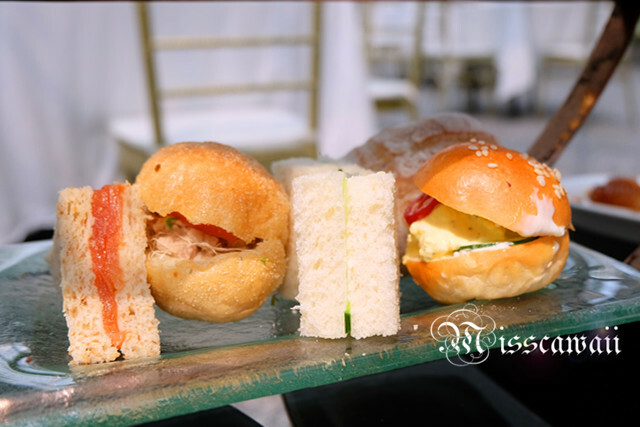 They are strictly each person have to order one set of afternoon tea set instead sharing for one. However, the pay is more on environment not the food. *The photo been edited earlier so you will see is the old watermark. 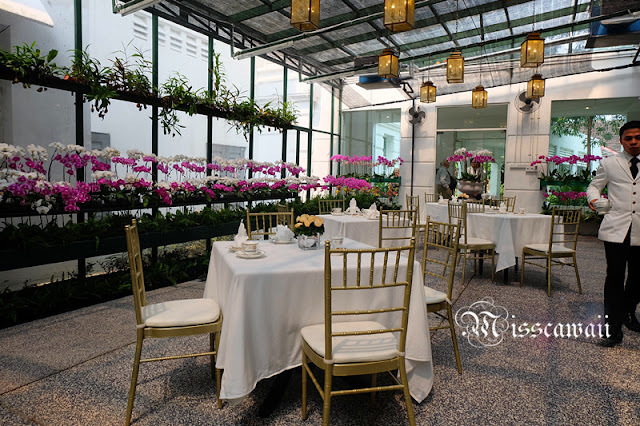 This is one of the most beautiful places for high tea in KL. The ambience is really pleasing. One afternoon there is certainly not enough. I hope the food tastes as good as they look! The food is dependiing what the kitchen is preparing. Sad to say that sometimes it will out of your expectation, but sometimes not. 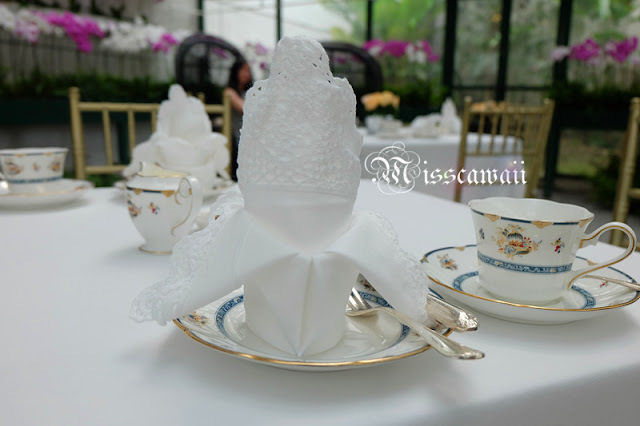 I never knew such flowery environment of Hi-Tea existed in Malaysia. I do agree when you mentioned that the price is actually used more for the environmental purposes instead of food. With such great environment and talking with BFF, it's so mesmerizing! My friends and I were planning to visit this but I had to work. Now I am going to make sure I go there, it looks so quaint. wow i love this place! such a nice place to have coffee and also enjoy the great scenery of flowers. will visit soon. Orchids there were so beautiful. 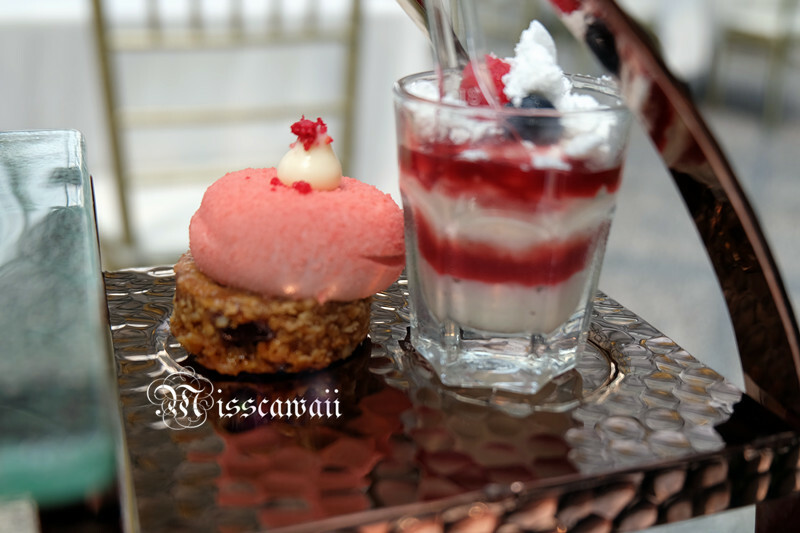 Its great to release our stress with natural flower while indulging an afternoon tea and chit chatting with friends. Yea agree. That's why I said pay for the ambiance, atmosphere but not the food. 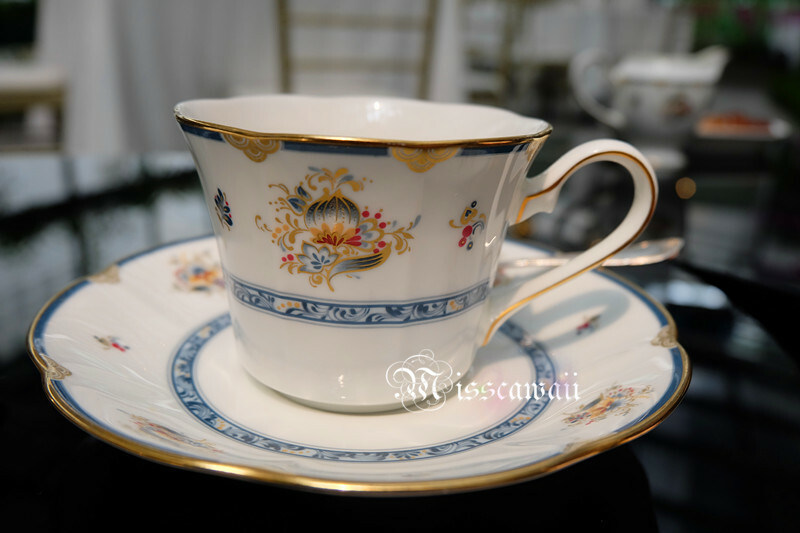 a comfortable to enjoy the tea time and also the orchid. Wow the place looks so beautiful, with orchids all around, it must feel so relaxing. For a second I thought the brown sugar were crystals. Very smart of them to make it that way. 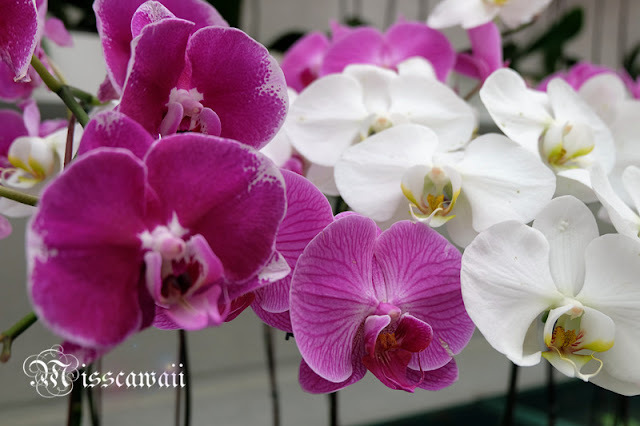 I love orchids very much! Truly a photo worthy place especially if you appropriate flowers and nature. Such a gorgeous place to have afternoon tea... it is little wonder the waiting list is 2 months... oh gosh!!! I've been here for hi tea. It is really a beautiful place.